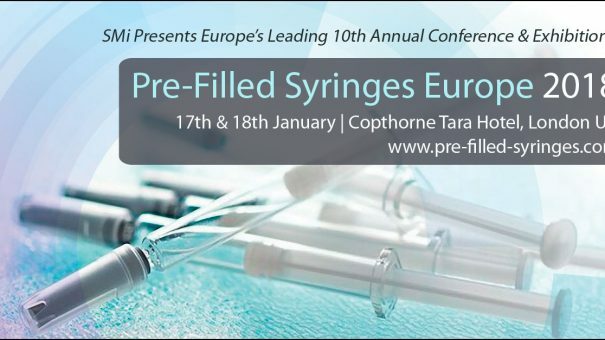 SMi Group will welcome the expertise of Elizabeth Baker, Group Manager Licensing Division, MHRA, when she presents an opening keynote address at the 10th annual Pre-Filled Syringes Europe conference taking place on 17th and 18th January 2018 in Central London. The upcoming talk will offer attendees with new updates surrounding regulations as well as guidance on key requirements relevant to the PFS market. The spotlight on regulation will also include an industry led panel debate by West Pharmaceutical Services, Merck and Novartis Pharma; insight into guidelines for auto injector requirements and the updated USP<1207> presented by F.Hoffmann-La Roche; and an overview of current policy within the EU and US framework presented by Vikas Jaitely, Senior Manager CMC Regulatory Intelligence and Pharmaceutical Science, Merck. For those looking to attend, there is currently a £400 early bird saving available online which expires on 29th September.